As the Federal Aviation Administration struggles to stay on schedule to meet Congress’ 2015 deadline to integrate small unmanned aircraft systems into the national airspace system, a range of other public and private organizations are moving on new UAS research programs with an eye toward commercialization. When Michael Clemens, the assistant chief for Maryland’s Montgomery County Fire & Rescue Service, bought the first UAS for the department last year, he didn’t know the FAA prohibited it for nonrecreational use. In fact, it wasn’t until the device had been tested in open air several times when someone told him what he was doing might be illegal. “We had the cart ahead of the horse here,” Clemens said Monday, speaking at the UAS Commercialization Industry Conference in Washington, D.C.
Clemens intended to use drone technology to provide an “eye in the sky” view of a burning building in order to determine what areas firefighters should concentrate their fight. The areas, or hotspots, could be identified through thermal imaging cameras mounted on a small quad-copter rotocraft UAS. Though Clemens wanted to continue using drone technology to fight fires, he said he understood the need for the FAA to go through the process of ensuring that the devices could be safely integrated. Now, Clemens and his department are in the process of applying for a certificate of authorization, or COA, from the FAA, which would allow them to operate drones under specific conditions. 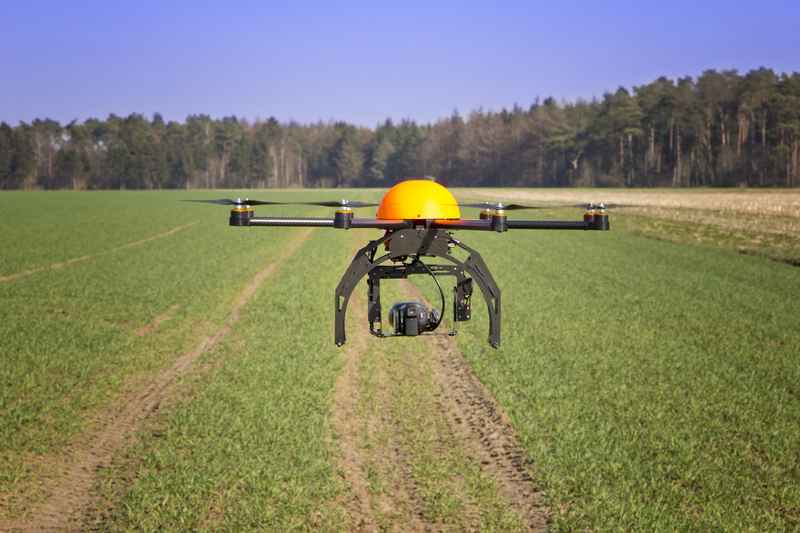 The COA would be granted under section 333 of the 2012 FAA Modernization and Reform Act, which allows the agency to grant exemptions to the non-recreational drone prohibition. Earlier this year, the FAA granted an exemption for BP to operate UAS to check pipelines in Alaska for leaks and other faults. According to Marty Rogers, the director of the Alaska Center for Unmanned Aircraft Systems Integration at the University of Alaska Fairbanks, BP has operated some of its missions through the center. Since the COA for BP was granted in early June, the company has used drone technology to inspect its infrastructure and create geologic modules in Alaska’s North Slope. However, according to Rogers, the company’s aim is not to set the standard for UAS operation in the commercial space but rather to gather the information they need in a cost-effective, safe way. In addition to helping BP fly their missions out of the ACUASI, Rogers also leads the FAA-approved test site based out of the University of Alaska Fairbanks. Through the test site, Rogers and his team utilize their fleet of more than 100 aircraft to fly UAS missions approximately 150 days out of the year. The missions focus mostly around research, including work with the National Oceanic and Atmospheric Administration to study polar bears and other endangered animals. With UAS technology, Rogers said, the center can perform the “dull, dirty and dangerous” without putting lives on the line and for a relatively low cost. “Because we’re able to fly so low, so quietly, we’re really able to get some great data” about wildlife and other difficult-to-reach places, Rogers said. In May, Rogers and his team traveled to Soldotna, Alaska, to help survey the Funny River Wildfire. After a few days of bureaucratic difficulties, the team flew several UAS missions over the fire in order to determine where the hottest areas were so that firefighters could concentrate efforts there. But academic research and pipeline observation are not the only applications for this technology. For example, NASA’s UAS-National Airspace project is looking at the development and testing of technologies that can make airspace integration a little more convenient for the FAA and drone operators, said Laurie Grindle, the program manager for the project. Through a two-phase process scheduled to end in fiscal year 2016, the agency has started to evaluate various technologies that would be critical to integration, including sense-and-avoid systems that would allow drones or manned planes to know about the presence of the other and automatically redirect out of each other’s flight paths. In the first phase of the project, Grindle said most of the testing was done in a completely virtual environment that shared content between the different NASA flight centers. Now during phase two, and continuing through the end of the project, the agency will do real-life flight tests to evaluate the quality of the integrated technology. Yet from NASA to Montgomery County, Maryland, to Alaska, the drone operators said they had one thing in mind: commercialization. Although unmanned aircraft systems now are used for research purposes, the commercial possibilities of the technology are endless, Rogers said.